West Africa (ECOWAS court) to strike out its suit of rights abuses. The group said it was the reason Its leader, Nnamdi Kanu had jumped bail. IPOB said it condemns in its totality the new strategy employed by the federal government to ensure that its leader was denied justice, when in the real sense he was being held by the Army. He said It had become customary for this current APC government to abuse and violate human rights at will and when confronted with their deeds in a competent court of law, they resort to “blackmail, cheap lies, misinformation and sometimes inducing a certain sections of the media to help them sway public opinion against victims of their cruel regime. “Instead of addressing the substance of the charges against them before ECOWAS Court for nearly two years now, they chose instead their favorite method of trial by media and senseless smear campaign. “The case of abuse of fundamental human rights by the Buhari regime brought by the leader of IPOB Mazi Nnamdi Kanu at the ECOWAS Court has been pending for two years, with the government employing all manner of delay tactics to frustrate the case. 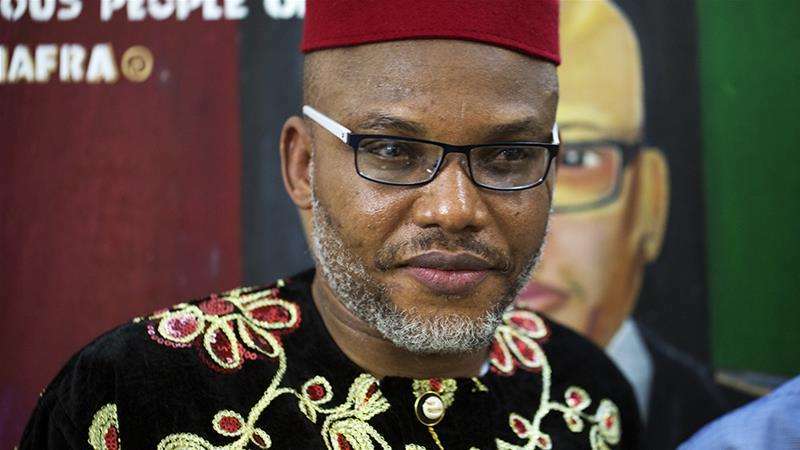 Now they are holding Nnamdi Kanu in their custody, having denied such publicly, they have finally woken up to ask the court to dismiss the charges against them after sanctioning and conducting the kidnapping raid in Afaraukwu on the 14th of September 2017. “It will be fair to assume, going by the antics of this government, that their primary reason for the murderous raid on the home of the IPOB leader, was to remove him from circulation and truncate all legal matters involving him. Powerful said that the group has said uncovered that the abduction of Kanu in September was deliberate so as to stop him from appearing in court in October, so that he would be labelled as having jumped bail.